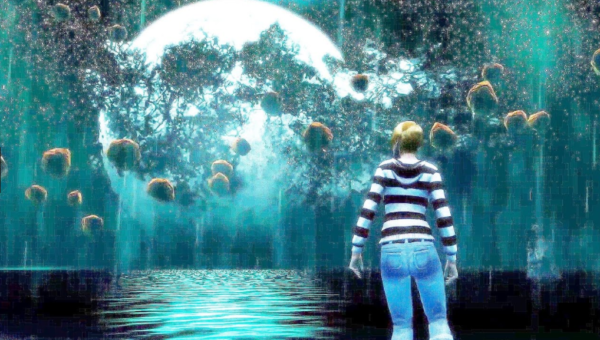 Secret World Legends is a reimagined MMORPG of The Secret World that released a couple years back. The idea of this game is to simplify the complexity which fixes many issues that were present in the previous game. The DLC that existed in the original game is now unlocked for free from the start as well opening a whole world of new content for everyone to play and enjoy, and the game definitely delivers on it! Let’s go over what’s the same as before as well as what has changed that makes SWL much better than TSW was. Before, you would just start out by creating your character by selecting your Secret Society and doing a small intro quest which allowed you to pick your weapons and get going on your mission to stop a certain villain and his creations from ending the world. In Secret World Legends, this is completely changed up for the better. First you select your Society, then begin your character creation by choosing your class from the start. This class will determine your starting weapons and abilities. While not permanent, or the best combinations of weapons, they are great starters until you can unlock other weapons for their skills and passive abilities. After selection of your class and gender, you’re able to change your look a bit to be more unique. This gives a few options just like before, with a few other choices included which is always a good thing. Once you’re satisfied with your appearance and starting clothing, you can proceed to the tutorial and that’s where things get interesting. Instead of giving you directions to go to your society’s HQ you’re given a series of dream sequences that introduce the basics of the game in an interesting way. At first, you’ll only have your primary weapon which is a bit limited since you’re given a single ability to clear the tutorial in. The tutorial itself takes several minutes to complete, giving you an idea of how some of the game’s puzzles work which is a huge help to anyone new to the game. For veterans, most of us were wishing there was a “skip tutorial” button, but since there isn’t, we all got to enjoy the new setup for it. After completing the tutorial, the old directions step in and you do another dream sequence, except this time you have your own weapons instead of a shotgun that TSW’s one had. 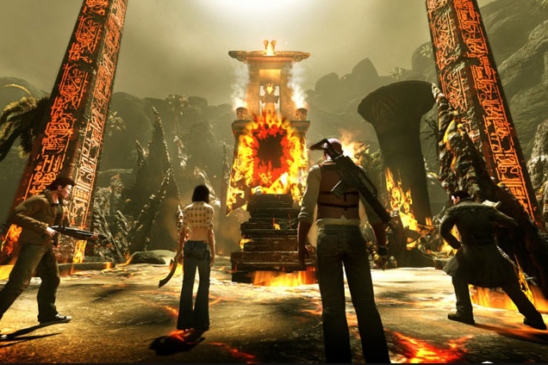 In the Secret World there are three societies that are basically factions for the players to join. This is mostly just for PvP activities, but there are some slight differences in the main storyline quests for each society. Depending on which one you chose it will also determine what your class outfits look like, as well as what the classes are named since it varies per faction. The Illuminati is still the most populated Society that is based in New York. These guys are the secret behind the veil that no one sees. They tend to keep things covered up and unknown. The players of this society are quite contradictory to this though, as we prefer to go in guns blazing and ignore the stealth aspect of missions, usually with a bad turnout and someone dying because of it. Anyhow, the society’s color is blue and they often own most of the PvP bases. The Dragons are based in Seoul and are the green Society. They believe in calming the scourge that has befallen the world and anything that can’t be calmed must be put down. Given that they are the Japan society, it is common to see them with samurai swords or special guns fitting for their region. The players usually follow that and most of them like to use swords as the Samurai class. Lastly we have the Templars, the red society. These guys have been around for centuries fighting against the evils of the secret world and thwarting anyone’s plans to rise an evil god or something similar to it. They like to think of themselves as the good guys, and the Illuminati the bad guys, but most of their methods usually involve violent decisions and causing more trouble than is necessary. Players of this society are mostly blood magic wielders and gunners. So, if you’ve played The Secret World, and are used to the old combat system, you’re in for a bit of a culture shock. The devs have completely rewritten and changed every bit of the combat system. Before, you could use TAB to target between enemies and target them with your mouse, but now, you can’t do either but are instead bound to a full action cursor with point-to-point targetting. This changes everything we knew about the combat. You’re still limited to the 6 skills and 6 passives, but now your skills are also changed (for the better). They have been simplified into three rows for each weapon. Unlocking all three rows will lead to a passive you can advance 10 times for extra stats. There are no longer 3 sections of 3 sets of skills, so it’s far less confusing than before. Since you only have 6 skills, you’ll have to balance them between both weapons so that you can utilize both sets of resources instead of running out of one and being unable to fight. With the new combat system, it’s more action based similar to Tera or Revelation. This setup has become a common one for modern MMORPG’s so it’s not surprising they went with this. By doing so, they’ve opened a lot of memory for other stuff such as more missions and DLC. You can join other players and fight it out in a quicker paced style now. The only problem with this new combat system is that it makes healing a bit more problematic, however EVERY weapon has at least one big healing skill now, so it’s not too bad since you can heal yourself even as a DPS class. Another big difference is that almost anyone can tank the enemies now. Before, you had to rely on someone running shotguns, hammers, or blades, to do the tanking. I’m a pistoleer, shotgun user, and am quite capable of tanking anything thrown at me while doing massive damage at the same time. So in my opinion, I feel the new combat system simplified a very complex part of the game and it makes playing more enjoyable for me. In Secret World Legends, there are two types of skill points that you’ll earn by doing quests and exploring as well as levelling up (something new to the Secret World). The first type of points is known as Skill Points, the points used for active abilities such as aoes or single target attacks. This type also covers buffing skills and heals too. The second type is Ability Points, the points used to purchase passive stat boosts and skill boosting abilities. You can use any type of passives you would like to make use of, but you’ll only be able to use the active skills of your two weapons. Since you can use any combination of two weapons, you can find the ones that work best for you. You can only have one basic (spammable) attack however, and it must be the one for your primary weapon. You can have up to 5 power abilities, and 1 elite one that can make for a powerful set of skills when you select the right ones. You’re not required to use any specific number of these abilities for the minimum, but those are the max amount you can have. Before, there were 9 sets of skills and passives for each weapon. Since that was removed, most of the player-loved skills have gone with it leaving many disappointed. However, others were made easier to get and you’ll be able to focus on the weapon you like best much easier now since the required points stay below 40. New to Secret World Legends is leveling. This changes how the equipment is set up and you can’t just use the best equips from the start, preventing newbies from being able to raid and mess up your weekly runs as well as many other problems. As you level up, you’ll unlock each slot of equipment. What this means is that the challenge of the game keeps as a challenge throughout the game rather than having an early drop off since you could have had Tier 10 equips right at the first quest if you had bought it before. Now, you have to level up all the way to level 35 in order to equip all the gear, and you’ll only get purple gear at level 50. You’ll also start getting Agartha Cache’s at level 20, which are essentially a “got-cha” box that requires a key from the cash shop in order to open it. The good part is that you can buy the cash shop currency in game from other players using Faction Coins. So the overall curve isn’t too bad between cash shop and free players. Everyone can get the same equipment, but those lucky with the cache’s can get them much quicker. Same thing goes for sprints and pets. 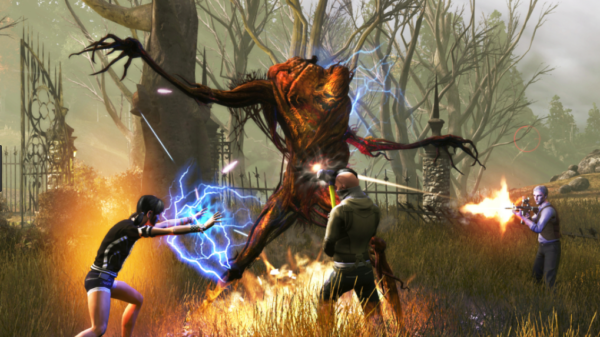 If you enjoy a game full of mysteries, faction conflicts, a good community, and thousands of players doing dungeon runs and raids daily, then Secret World Legends is worth checking out. You’ll get to enjoy all of the world’s greatest myths and legends as well as experience many types of missions from stealth to all out guns blazing wars. This game has improved a lot with this second release, and since all previous content is now free from the start, you’ll be able to enjoy all of it in a new light, especially if you didn’t have access to it before! There’s a lot more planned for expansions in the future as well since the devs now have room to implement their “Hundreds of years worth of content” as they say. I highly recommend Secret World Legends for newcomers as well as returning veterans. The game’s mysteries and puzzles prove difficult, but the difficulty has an easier curve now at least so it’s still enjoyable in its full glory!